Earlier this month, newspaper conglomerate McClatchy released its Q4 and full-year 2018 revenue results. The company reported a net loss in Q4 2018 of $27.5 million, compared to a net income of $61.1 million in Q4 2017. The company’s fiscal 2018 period is 52 weeks this year, compared to 2017’s 53-week period. Because of this, Q4 2018 results include 13 weeks as compared to Q4 2017’s 14 weeks. The numbers reported for Q4 and full-year 2018 include adjustments for comparability. However, among McClatchy’s most positive numbers: digital-only subscriptions gained in Q4 2018. The company reported an increase in digital-only audience revenues associated with digital subscription of 47.6%. The number of digital-only subscribers recorded at the end of Q4 2018 was 155,500. That number marks an increase of 51.1% from Q4 2017 and the 11th straight quarter the company has recorded digital-only subscription growth. Average monthly total unique visitors to the company’s online products: 61.4 million in Q4 2018. Despite this increase, audience revenues were down by 11.2% at $84.4 million in Q4, compared to the same period in 2017, or 4.5% on a comparable 13-week basis. Digital audience revenues increased by 2.8%, or 10.6% on a comparable basis. The company reports modest growth across digital-only advertising, which grew by 5.2% in Q4 2018. Total digital advertising revenues were flat compared to the same period in 2017. When adjusted for the extra week in 2017, total digital-only revenues increased by 10.1% and total digital advertising revenues increased by 4.7%, compared to the same period last year. The company reports revenues culled from directmarketing advertising declined by 17.7% in Q4 2018, or 13.7% when on a comparable 13-week basis. 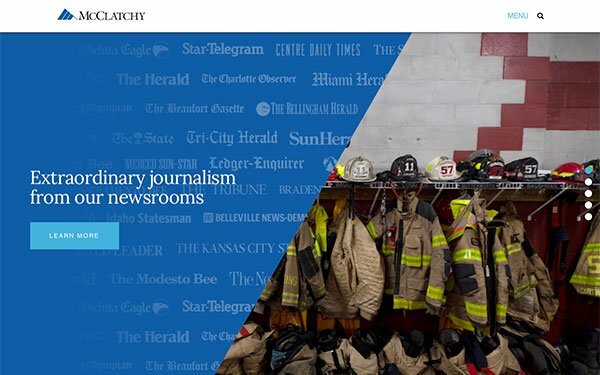 Over the course of 2018, McClatchy’s digital advertising overtook its print newspaper advertising, while its base of digital-only advertising revenue also surpassed print newspaper advertising during the second half of the year. Company management cites this as evidence of McClatchy’s continuing transformation into a digital-first company. Digital advertising revenues made up 43.3% of total advertising revenues in 2018. The company anticipates further growth of digital revenue in 2019. Some of the areas spurring digital-only subscriptions and revenues include new audience products, among those the recently launched SportsPass subscription.